Published March 3, 2017 at 480 × 720 in Athena Sharpening Spear. 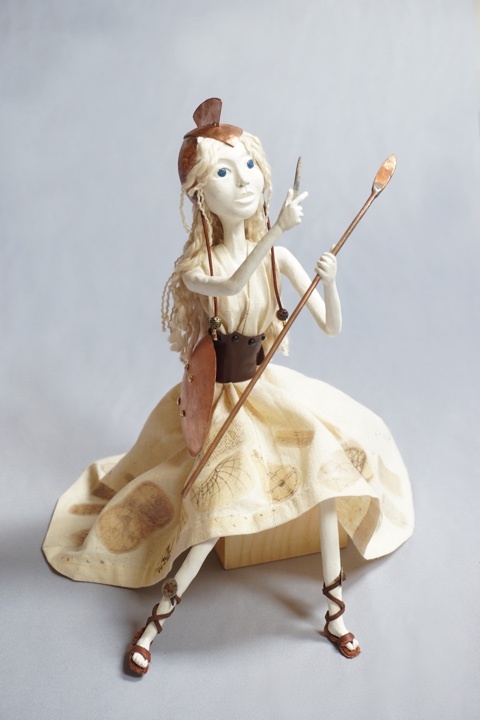 Athena Sharpening Spear art doll figure sculpture by Lynn Wartski. Seated art doll sculpture of goddess of wisdom getting ready for battle.